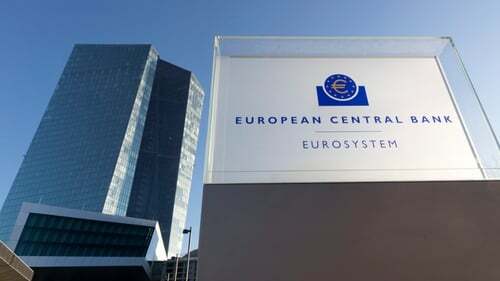 The European Central Bank has pushed out the timing of its first post-crisis rate hike until 2020 at the earliest and said it will offer banks a new round of cheap loans to help revive the euro zone economy. The bolder-than-expected move came as the US Federal Reserve and other central banks around the world are also holding back on rate hikes. It underlined how a global trade war, Brexit uncertainty and simmering debt concerns in Italy are taking their toll on economic growth across Europe. The policy changes cast ECB President Mario Draghi once again as nurturer of confidence in the bloc's still-fragile economy. This comes only months after the bank announced the end of four years of unprecedented asset purchases, and as Draghi himself prepares to hand over the reins to a successor later this year. While investors had long stopped pricing in an ECB rate hike this year, few expected the bank to change its policy message at this meeting. The surprise move caused the euro to slip to $1.1244, about 0.6% down on the day, after the announcement. "We are in a period of continued weakness and pervasive uncertainty," Draghi told a news conference as he announced cuts to the bank's growth and inflation targets. Noting that the ECB had not changed its assessment that risks are tilted to the downside even after tweaking policy, Draghi cited external factors such as protectionism, the still-uncertain nature of Brexit and vulnerabilities in emerging markets. The ECB now sees euro zone growth at barely 1.1% this year, compared to the 1.7% it projected in December. In addition, it launched a third Targeted Long-Term Refinancing Operation (TLTRO III) consisting of two-year loans partly aimed at helping banks roll over €720 billion in existing TLTROs and so avoiding a credit squeeze that could exacerbate the economic slowdown. The new loans will carry a floating rate tied to the ECB's main refinancing operation, currently set at zero. Today's announcement came four years to the month after the ECB launched a quantitative easing (QE) asset purchase programme to prevent sub-zero inflation from further hitting an economy still reeling from the euro zone debt crisis. In total it spent some €2.6 trillion buying up mostly government, but also corporate debt, asset-backed securities and covered bonds, at a pace of €1.3m a minute. The ECB's move to extend the horizon for steady rates was likely to be perceived as a policy reversal for the central bank that only ended bond-buying in December and which had signalled an interest rate hike for later this year. "At the same time, however, it is also a bit of a gamble as any next step from here to tackle a severe downswing of the economy would now require unprecedented measures," he added. ECB chief Mario Draghi said the bank now expects the region's economy to expand by just 1.1% this year, down from 1.7% previously. Draghi said the bank was pencilling in inflation of 1.2% this year, a far cry from the 1.6% it had forecast previously and pushing the ECB further away from its target of achieving price growth of just under 2%. "The weaker economic momentum is slowing the adjustment of inflation towards our aim," Draghi said. Looking further ahead, the ECB revised its 2020 growth outlook downwards from 1.7% to 1.6% while keeping the 2021 forecast unchanged at 1.5%. Inflation meanwhile is projected to ease to 1.5% in 2020 and 1.6% in 2021, down from 1.7% and 1.8% earlier. Draghi stressed that the bank stood ready to take action to combat the slowdown and he also expressed confidence in the underlying strength of the eurozone. "The euro area expansion will continue to be supported by favourable financing conditions, further employment gains and rising wages, and the ongoing - albeit somewhat slower - expansion in global activity," he stated.